Here is another recipe I made from “The Mile End Cookbook”, the traditional Jewish Challah Bread. The cookbook tells you how to make the traditional braid or how to make a Pullman loaf. I wanted a bread that would be better for sandwiches and French toast so I made the Pullman loaf. 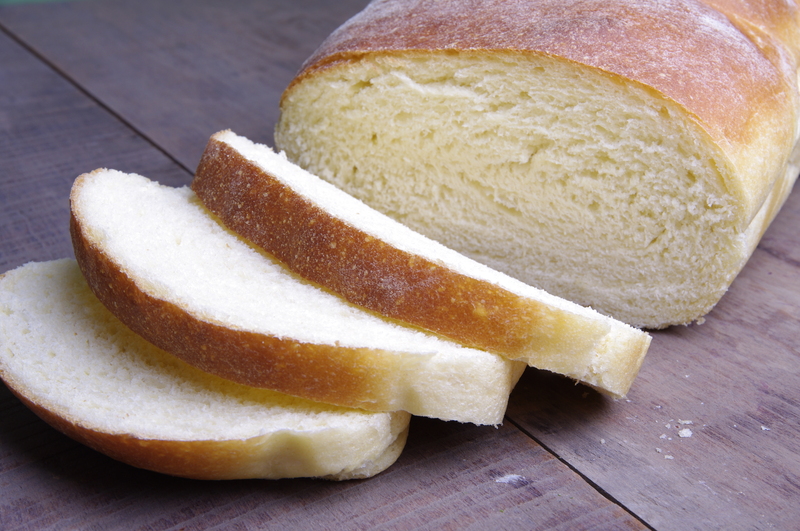 This bread has a sweet taste and is great not only for sandwiches but can be used for French toast, bread pudding and is great in an overnight egg bake. If you want to have a more yellow colored bread add a few drops of yellow food coloring. I chose to keep it just like the recipe in the cookbook and even though the bread has a white color it tastes just perfect. Watch for tomorrow’s post to see the Fresh From Oregon taste I give my extra pieces of Challah bread. Combine water, egg, egg yolk, yeast, oil and sugar in the bowl of a stand mixer and whisk for a few seconds until combined. 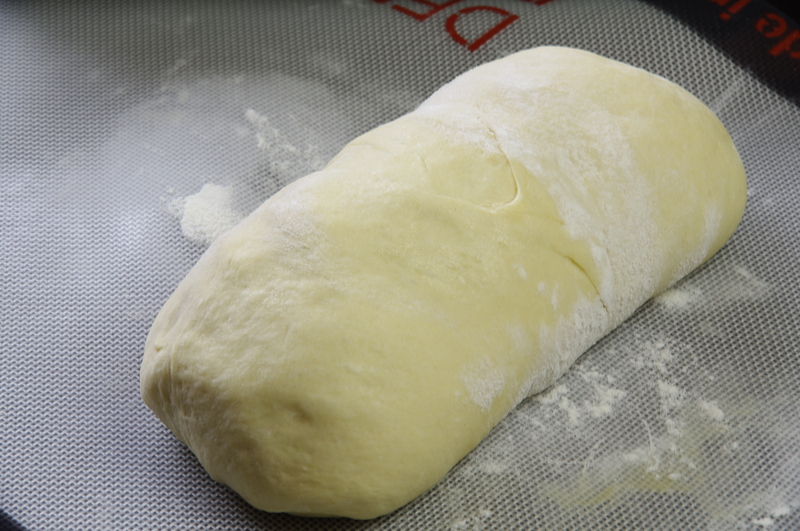 Place the dough hook on and add the flour and salt, mix on medium speed until dough comes together about 4 minutes. Let dough rest in the bowl for 5 minutes, add a little flour if dough seems sticky (1 tablespoon at a time) mix for 5 minutes. 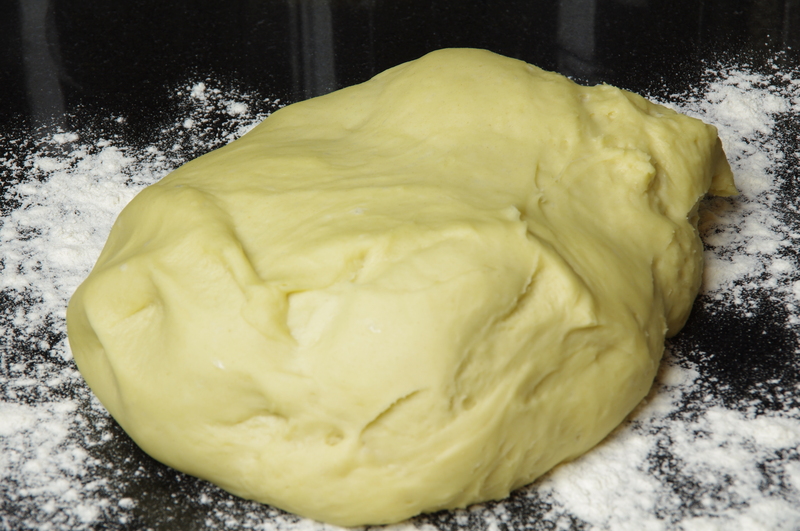 On floured surface place dough and shape into a ball. 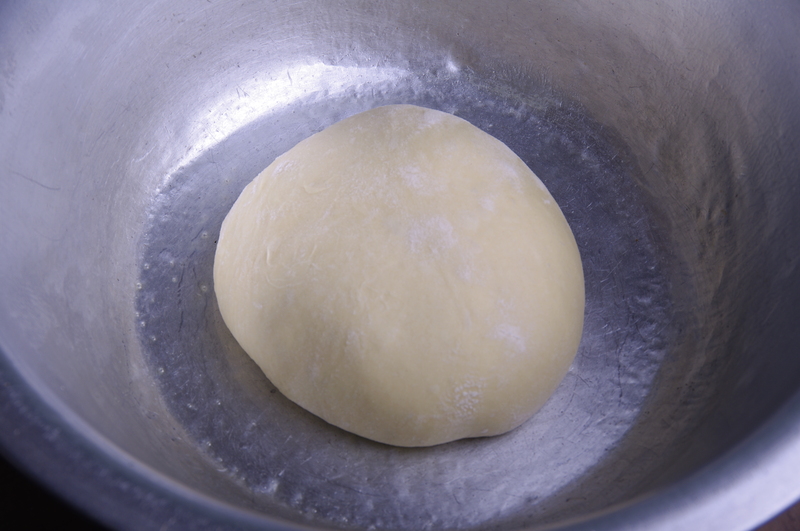 Place the dough in a greased bowl and cover with plastic wrap and towel. 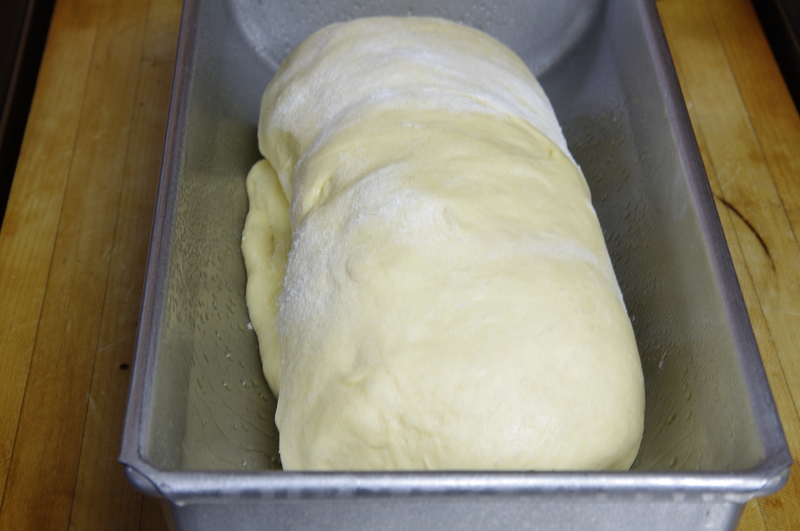 Let dough rest in a warm place until doubled in size about 2 hours. I did not make the traditional braid but made a Pullman loaf shape. 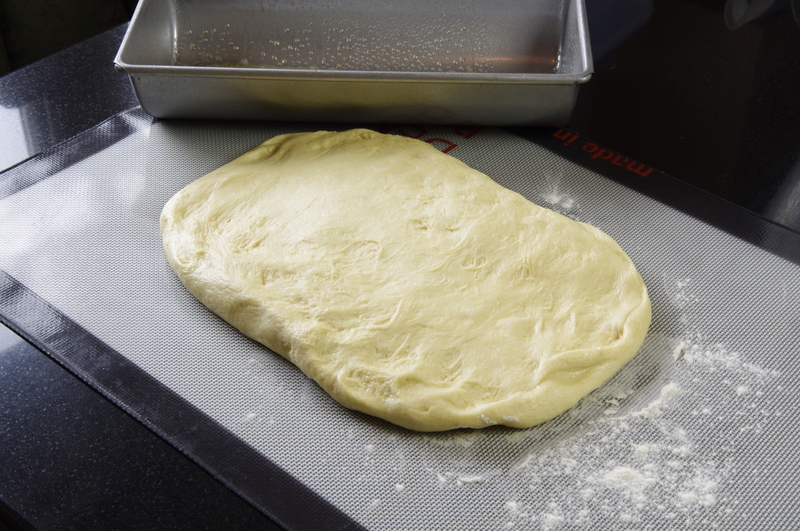 Place the dough on a well-floured surface and press and stretch into a 10×8-inch rectangle. 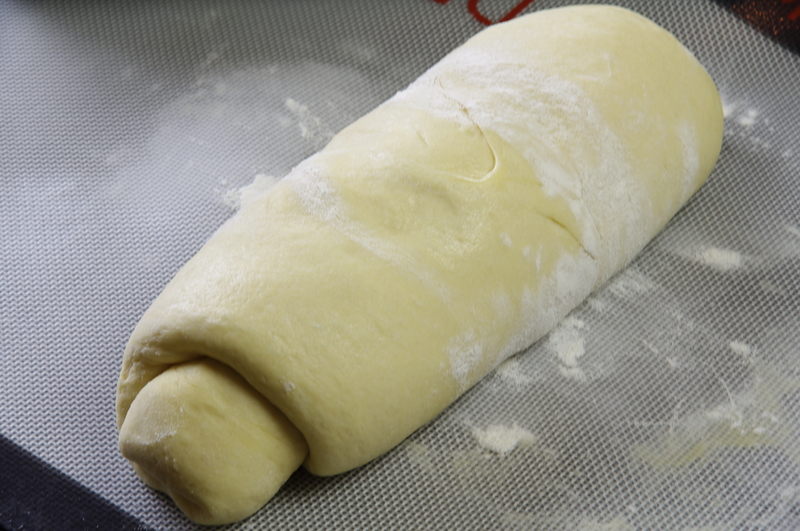 With the short end start rolling the dough into a cylinder. 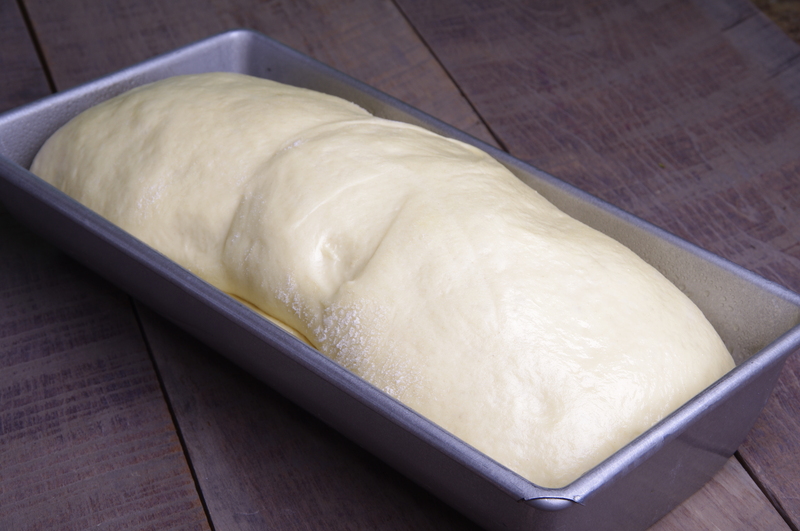 Tuck the ends under and place in a greased standard-size loaf pan. Lightly grease the top of the bread and cover with plastic wrap and towel, let rise in a warm place until it is slightly above the pan’s rim, about 1 1/2 hours. 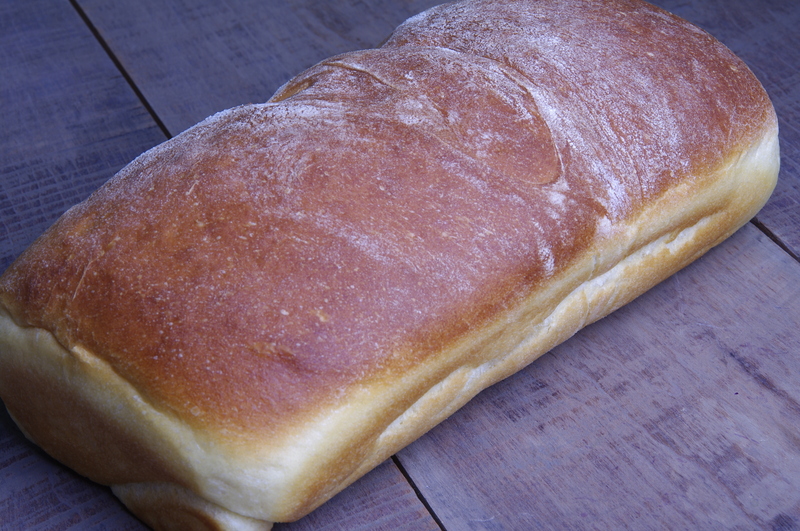 Bake the bread in a preheated 350 degrees oven for 25 minutes, rotating 180 degrees halfway through baking. Bake until brown on top and bottom, remove from oven and let rest 5 minutes before removing from the pan then cool on wire rack. It was the best recipe for Challah Bread I have ever made. The soft inside was so awesome for my turkey, bacon and avocado sandwich, yum! Try the cinnamon bun recipe they give for the same dough as well. It is amazingly awesome, possibly because of the two sticks of butter. Thank I was thinking about making them and adding some toasted hazelnuts.. I made Challah bread last night. Not as pretty as your picture, but taste great. I’ve been promising to make bread for Anna. Will make this one again.